You will love these generous well-appointed guest suites with 42"LCD TV Austar,Complimentary Wi-fi,premium bedding, extensive mini bar, sofa, table & chairs, work desk for laptops & modern bathroom. City Oval restaurant, café & bar onsite open 7 days. 1 Queen bed and 1 single bed. Oversized, well-appointed guest rooms with 42"LCD TV, Austar, Complimentary Wi-Fi , premium bedding, extensive mini bar, sofa, table & chairs, work desk for laptops & modern bathroom. City Oval restaurant, café & bar onsite open 7 days. Beautifully appointed spa suite with modern design, luxurious corner spa and superior bathroom amenities. Oversized guest room, plush King bed with soft premium bedding. PLUS Complimentary Wi-fi 42"LCD, Austar & mini bar. City Oval restaurant open 7 days. SPACE and STYLE. Private bedroom with quality queen bed and premium linen. Separate oversized lounge & living area, 42"LCD TV, Austar, Complimentary Wi-Fi , kitchenette, extensive mini bar, sofa and work desk. City Oval restaurant, cafe and bar onsite open 7 days. Premium King size bed with luxurious triple sheet bedding in a private bedroom. Separate oversized lounge & living area, generous corner spa bath and finest bathroom amenities. PLUS 42"LCD, Austar, Complimentary Wi-fi kitchenette and mini bar. Self contained 2 bedroom apartment great for families or long stay corporate travellers. Master room features 1 queen bed, 32” LCD . Second room has 2 single beds. PLUS separate lounge and living area, kitchen,Complimentary Wi-Fi . The Lake Inn Motel combines modern and traditional. 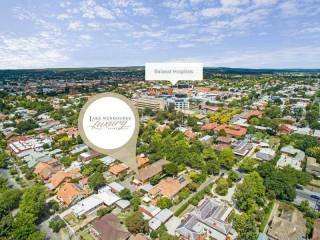 It has a perfect location - quiet but central, across the road from the City Oval, 150m from beautiful Lake Wendouree and a short walk to Sturt St, the heart of Ballarat. In 2011 and 2012 the Lake Inn won awards for International Excellence in Quality and Standards. You’ll love these oversized, stylish, well appointed, modern motel rooms in central Ballarat. This superior accommodation includes a modern bathroom, premium bedding, free wi-fi, a sofa, table and chairs and a work desk for laptops – truly an executive room. Enjoy 4.5 star luxury, space and privacy, a short walk from Lake Wendouree and central Ballarat. The private bedroom has a quality queen-sized bed. The large, separate living area of the suite has a sofa, a work desk and a kitchenette – a first-class accommodation package. Live like a king in Ballarat, even if it’s just for a night. Rated 4.5 stars, the Deluxe King Spa Suite provides luxurious accommodation. There’s a premium king-size bed in a separate bedroom, there’s a generous corner spa bath and the finest bathroom amenities, and then there’s a separate oversized lounge and living area, a kitchenette and mini bar. A self-contained, two-bedroom apartment that’s great for families or long-stay business travellers. Enjoy 4.5 stars of luxury motel accommodation. The master bedroom features a queen bed, the seconded bedroom has two single beds. Then there's a separate lounge and living area, a 42" LCD TV and free in-house movies (Austar), kitchen, free wi-fi and loads more. 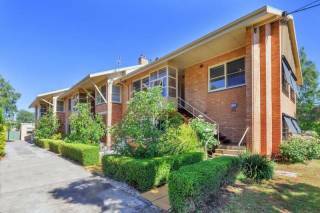 Adjoining and complementing the motel, positioned perfectly in between Ballarat’s main thoroughfare the iconic Lake Wendouree, and the historic City Oval. 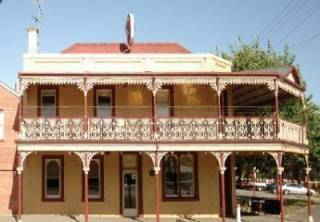 The City Oval Hotel has a long history as a warm and friendly destination for travellers and locals alike. The City Oval Hotel is ‘The Quiet Champion’! The City Oval Hotel combine elegant surroundings with traditional, welcoming hospitality and fine dining. Themodern pub menu in a relaxing restaurant with a range of Beers, Ales, and Wines from around the world served from a traditional pub bar with warm friendly service and honest value. 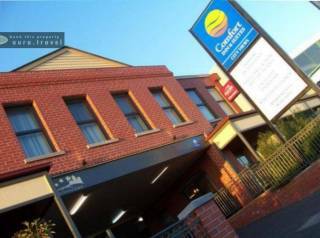 The City Oval Hotel complex offers a complete solution to business people in Ballarat. The facilities range from an adjoining restaurant (perfect for informal meetings) to private rooms (suitable for dining and conferences). 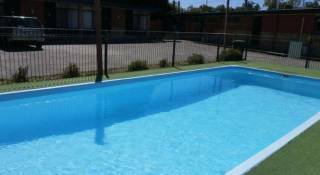 The motel provides thoughtfully equipped and designed accommodation. All rooms have workspaces and the apartments and suites have separate rooms suitable for small meetings. A valid credit card is required for all bookings. All additional costs incurred during your stay will be charged on departure. This property requires changes and cancellations to be made at least 48 hours prior to the property's check in time. Cancellations made within 48 hours of arrival will be charged the first nights accommodation.